On behalf of the staff of Lewis Funeral Chapel and The Stone Chapel, we would like to thank all of the families that have chosen us to care for their loved ones, and the thousands of families that have pre-planned their own final wishes with us. Lewis Funeral Chapel was established in 1909 and The Stone Chapel Poulsbo Mortuary was established in 1936. Each has a long-standing history of providing excellent service. The history of any funeral establishment is very important to investigate. You need to be assured that they will still be around when you need them. Our funeral directors and pre-need family service staff are . We guarantee that you will be working with someone with the knowledge to properly guide you through the decision making process. They are committed to explaining all of your options, outlining the costs, and making recommendations to allow you to make an informed choice. Does the funeral home have the necessary facilities? Many people do not realize that some companies have opened “Storefront” funeral businesses. They are generally office space only, often located in strip malls or small properties, established to give the illusion of providing complete service options in your community. In truth, they do not have the typical facilities for visitation, funeral services or receptions. They must transport your loved one to another location, often many miles away, and in the case of cremation, they generally contract with a completely different company with facilities located outside of Kitsap County to perform the cremation. Many families prefer to have the peace of mind of knowing their loved one will never leave the care of Lewis Funeral Chapel/The Stone Chapel Poulsbo Mortuary & Crematory and that all cremations are performed by our staff at our locally owned and operated crematory. Traditionally, funeral homes were locally family owned and operated. Today, many of the funeral homes thought to be locally owned are actually owned by a national corporation. This can be a very important factor in determining what services they can provide you with and at what cost. Our funeral home offers Forethought funeral and cremation pre-planning. This alleviates the financial burden on your family and gives you peace of mind, knowing your wishes will be carried out exactly as you wanted. Should you relocate to another city, your plan is transferable to a funeral home in your new community. When considering transferring your policy to another funeral home, be sure to inquire as to whether or not they will honor the guaranteed price for the goods and services that you have selected. Consumers often select a funeral home because it is close to home. While location is an important factor, you must be sure that you are not limiting your choice of goods or services. 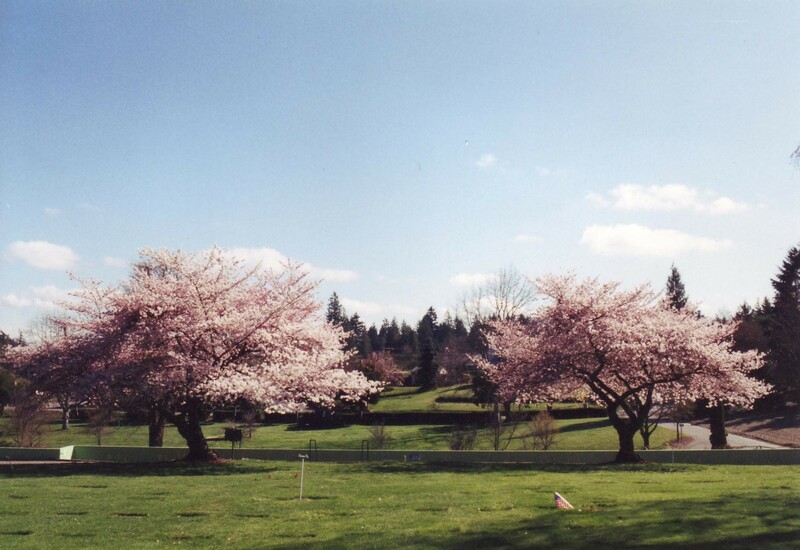 Lewis Funeral Chapel, The Stone Chapel Poulsbo Mortuary, and their adjacent cemeteries are easily accessible and can offer a full range of products and services. When a loved one dies, grieving family members and friends are often confronted with dozens of decisions about final arrangements – all of which must be made quickly and often under emotional stress. As callous as it may sound, one of the major questions will be about cost. As funeral providers, we are here to serve our clients individual needs and best interests. We urge you to be as forthcoming as possible about your financial needs. When asking about prices, make sure that you know exactly what that price includes. Do not be misled by discount service providers, who often have hidden fees and provide a lesser degree of service options. Once you have asked all of these questions, you should feel secure and know that you have made an educated, wise decision. Keep in mind that if you have made pre-arrangements, it is a good idea to review your decisions periodically and make any necessary changes. It is possible that another local funeral establishment, suggesting that you transfer your arrangements to them, may even contact you. We recommend that you take the time to remember why you chose the initial funeral home and trust that your own judgment is sound.